The first Santa Paula Art and Photography Exhibit took place in 1936. Sponsored by the Santa Paula Society of the Arts, the show is the oldest such juried event in California. Artists from throughout the western states presented their works for inclusion in the exhibition which opened March 10. The exhibit and art competition continues to be displayed at Blanchard Community Library in Santa Paula through March and April. 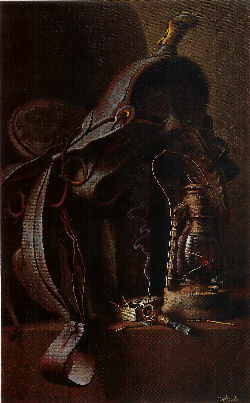 The exhibit features the unique ‘Jury of Your Peers Award’, decided by participating artists, and the ‘Peoples Choice Award’, garnered by public vote, as well as awards decided by the official panel of judges. At the reception and presentation of awards, held Saturday, March 26th, Tony Jankowski received several awards for his two submitted paintings: Fruit Bowl with Figs and Morning Light. 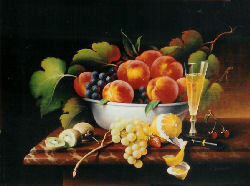 His still life oil painting “Fruit Bowl With Figs” received the People’s Choice 1st place, the Jury of Your Peers 1st place, and the Judges 2nd place. 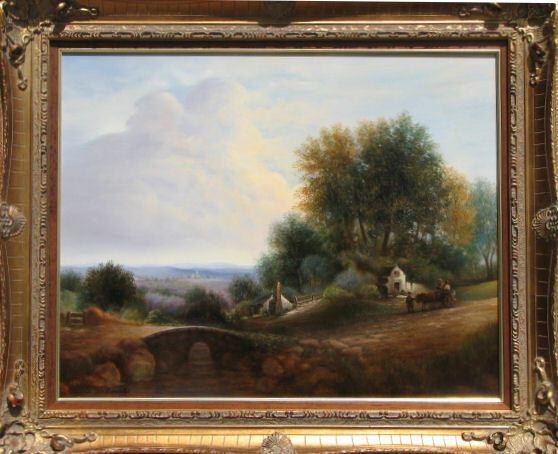 His landscape oil painting “Morning Light” received the People’s Choice 3rd place. To view pictures of the award ceremony click here. Tony Jankowski received several awards for his two submitted paintings: "Cowboy's Day End" and "El Niño at the Ventura Pier" . 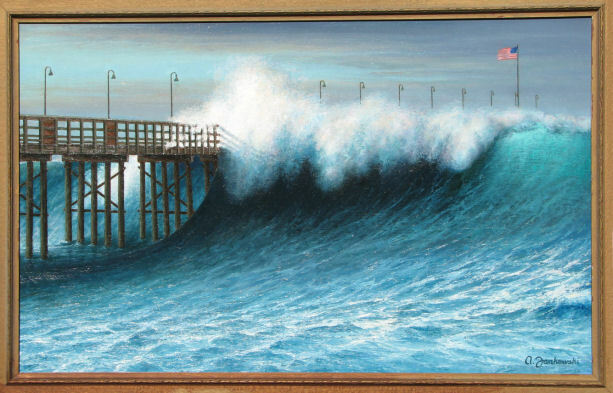 His oil painting of the El Niño wave on the Ventura Pier received the People’s Choice Award and the Jury of Your Peers Award was affixed to his still life oil painting "Cowboy's Day End."